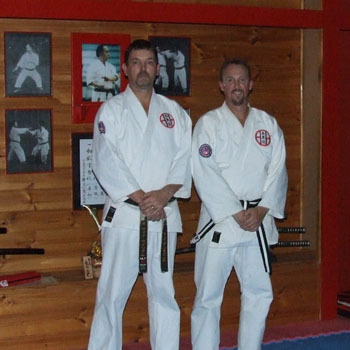 Congratulations to Steve who was recently completed the requirements for Assistant Instructor with Shito-Ryu Australia Karate-Do Kai. In recognition of his dedication and commitment to Shito-Ryu Australia Karate-Do Kai Steve was awarded the rank of Shodan-Ho (provisional Black Belt). For members over the age of 15 this rank can only be awarded if the member has successfully completed the requirements for Registered Assistant Instructor and had their log book signed off by Mike Shihan. The final stage is to provide a demonstration of all Kata up to and including 1st kyu and to have a satisfactory knowledge of the curriculum up to and including 1st kyu. Well done Steve, great effort!